Nobody likes to pay taxes. That’s why investors naturally are interested in earning tax-free income. Municipal bond issues are a very popular way to earn tax-free income and, if income is reinvested, achieve tax-free compounding of returns. Municipal bonds (also known as “munis”) are fixed-income investments that can provide higher after-tax returns than similar taxable corporate or government issues. In general, the interest paid on municipal issues is exempt from federal taxes and sometimes state and local taxes as well. A municipal bond is an interest-bearing debt obligation issued by a state or local municipality, which may support general government needs or fund a public works project. A municipal bond can also be issued by legal entities such as a housing authority or a port authority. A variety of projects, such as new roads, stadiums, bridges, or hospitals, are usually financed through the issuance of municipal bonds. In addition to providing tax-exempt earnings, municipals can be an excellent way to invest in the growth and development of your community. Municipal bonds are different from corporate bonds in several ways. Most important, the income they generate is usually exempt from federal taxes, whereas the income generated by corporate bonds is fully taxable. In addition, if the investor lives in the state that issued the bond, the state tax is usually exempted. Local taxes (if any) may also be exempted. Be aware that if the municipal bond is a “private purpose” bond, the income is taxable unless specifically exempted. Also, income from some bonds may be taxable under alternative minimum tax rules. Their general exemption from taxes sets municipal bonds apart from other bonds, so they are often referred to as “tax-exempt bonds.” The second way that municipal bonds differ from corporate bonds is how they are retired at maturity. Corporate bonds are usually issued with “term” maturities, but many municipal bonds are issued with “serial” maturities. This means that the bond is issued with several maturity dates. A portion of the principal matures with each maturity date until the entire principal has been paid off. The interest rate of a serial issue can also be different with each redemption date. As with some corporate bonds, many longer-term municipals may also include “call” provisions. This means that the issuer can choose to retire the entire value of the bond early, on the call date, and would likely do so if prevailing interest rates are lower than the bond’s coupon rate. In addition, corporate bonds are usually issued in $1,000 amounts, but municipal bonds are usually offered in principal amounts of $5,000. Finally, municipal bonds are traded only on the over-the-counter market, whereas some corporate bonds are listed on exchanges. 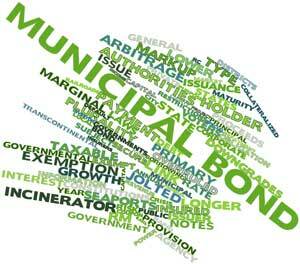 The most common type of municipal is called the general obligation (GO) bond. 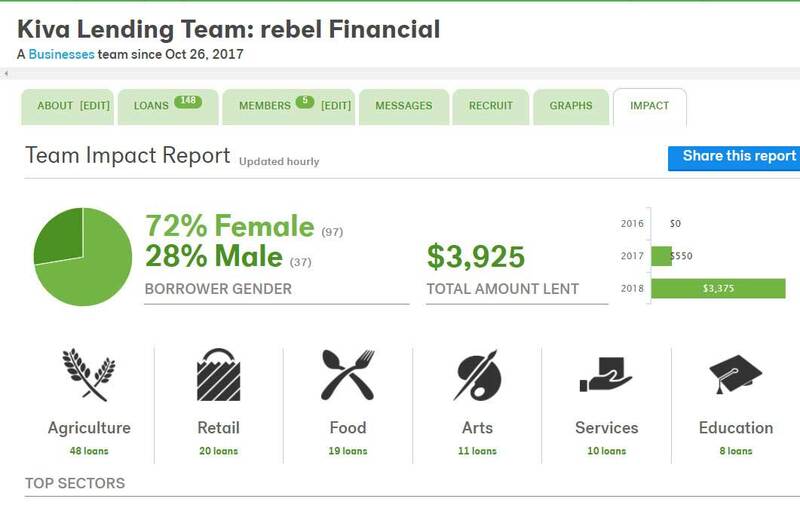 These bonds are not tied to a particular community project, and the issuer of the GO bond is obligated to make interest and principal payments on time, which makes them one of the least risky municipal investments. Consequently, they also have lower yields. Another type of bond is the revenue bond, which is backed only by the revenue expected to be generated by the facility being built. Other types include special tax bonds and industrial revenue bonds, as well as variations on the general obligation bond. General Obligation Bonds: Backed by the full faith and credit of the issuing government and its taxing power. They are considered very low risk and thus offer the lowest yields. They are approved by voters. Revenue Bonds: Secured only by a specified revenue source such as highway tolls or airport fees. They are considered somewhat riskier than general obligation bonds and thus usually offer higher yields. Commercial Paper: Short-term debt issued by governments to meet cash-management needs, budget shortfalls, and the like. Typically they are backed by a bank letter of credit and carry maturities of less than nine months. The yields offered are generally low due to their short maturities. Private Activity Bonds: Used to fund private pursuits that qualify under federal law as having a tax-exempt status. They are considered riskier than revenue and general obligation bonds and thus offer higher yields. May not be tax exempt. Municipal bonds usually have a yield several percentage points below the yield on corporate bonds of comparable maturity. This means that a municipal bond can provide the same after-tax yield as a taxable bond paying a higher interest rate. If you are in a high tax bracket, the benefits of using municipal bonds in the bond portion of your portfolio are impressive. For example, if your income tax rate is 28%, a municipal bond paying 6% interest is actually a better investment than a taxable bond paying interest at 8.3%. You can easily calculate the comparable yield on a taxable investment, known as the taxable-equivalent yield (see “Consider Taxable-Equivalent Yield”). With thousands of municipal bond issues outstanding, keeping track of prices for each on a day-to-day basis is beyond the capabilities of news reporting organizations. Consequently, you don’t see specific municipal bond prices in a newspaper — you have to consult a bond dealer if you are interested in a specific bond price. And even though municipal bonds are issued in increments of $5,000, the prices are quoted as if they were $1,000 issues. In an attempt to make municipal bonds more attractive to individual investors, the municipal bond industry is starting to report regional pricing on municipal bonds to national news services. As a result, there will be some benchmark investors can use to learn how one bond compares to another. As with the prices of other types of bonds, municipal bond prices react to changes in interest rates. This is why many analysts recommend holding short- to intermediate-term bonds, because they are less vulnerable to changing interest rates. Municipal bonds also pose credit risks — as became clear when several larger cities filed for bankruptcy following the most recent recession. Other risk variables are specific to municipal bonds, such as the potential for future changes in the tax law. Some of these risks are lessened by purchasing shares of a municipal bond fund, which are inherently diversified. Most municipal bond funds invest in the generally higher-quality, federally tax-free issues of state governments and municipalities. Professional management can save you the hassle of having to research and evaluate the thousands of individual bonds on the market. In addition, lower initial investment requirements help ease accessibility to municipal bonds. Municipal bonds and the funds that invest in them continue to offer many investors higher after-tax yields than could be earned on comparable taxable investments. In this instance, if you are in the 28% federal tax bracket, a taxable investment needs to yield 8.3% to equal the lower, but tax-exempt, return offered by a municipal bond fund that currently yields 6%. If you are investing in a state-specific municipal bond fund, add your state and/or local income tax rates to your federal tax rate in computing the taxable-equivalent yield. A municipal bond is a debt obligation issued by a municipality for funding general public needs or a public works project. The income generated by municipal bonds is often exempt from federal taxes. Municipal bonds purchased by residents of the municipality may also be exempt from state and local taxes. The freedom from federal taxes sets municipal bonds apart from all other bonds. Municipal bonds are issued with “serial” maturities. Municipal bonds are usually offered in principal amounts of $5,000. Municipal bonds are traded only on the over-the-counter market. Municipal bonds can provide the same after-tax yield as a corporate or Treasury bond paying a higher interest rate. Risks in municipal bond investing include credit risk and price fluctuations due to changes in interest or tax rates.